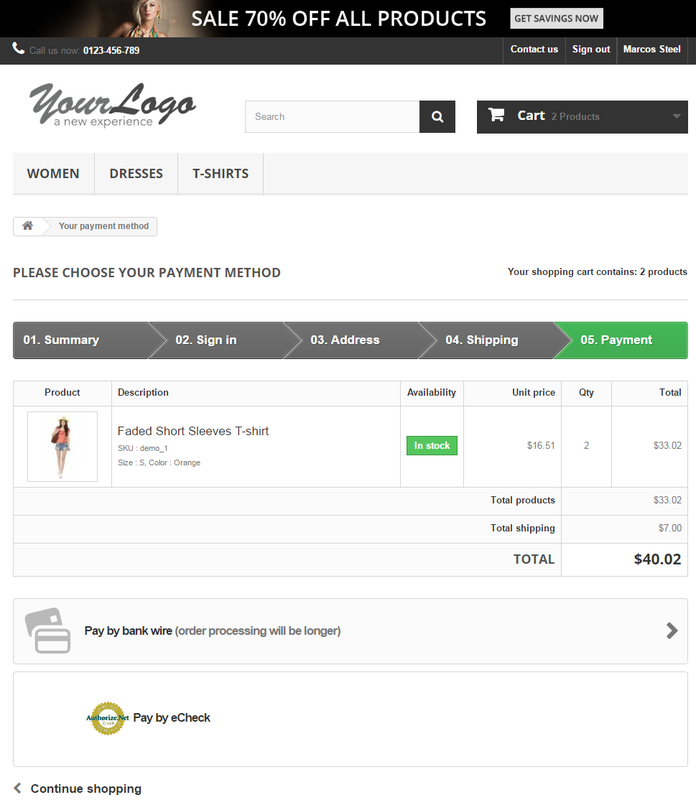 eCheck.Net Payments For PrestaShop is a neat solution that will introduce electronic check payment method into your online store. 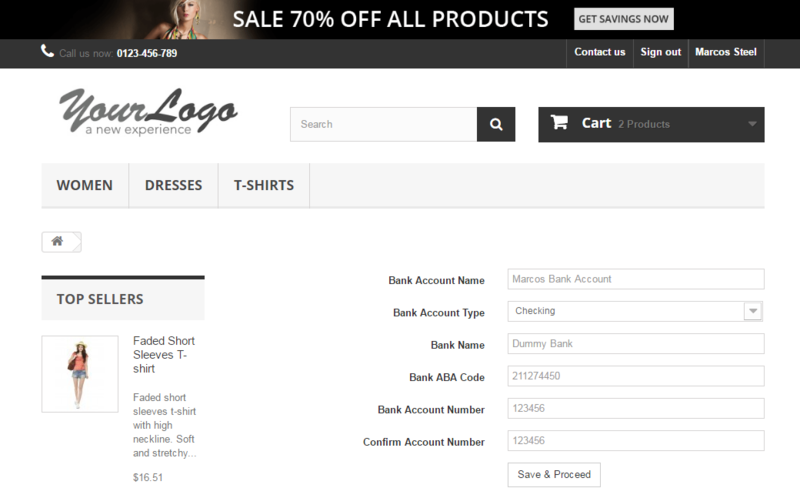 Thanks to it, you will be able to accept and process eCheck transactions carried out through Authorize.Net gateway. What is more, the module will allow you to easily switch to test mode and make sure that the payments are handled properly. Wipe the time-consuming task of manual paper checks processing from your business routine. 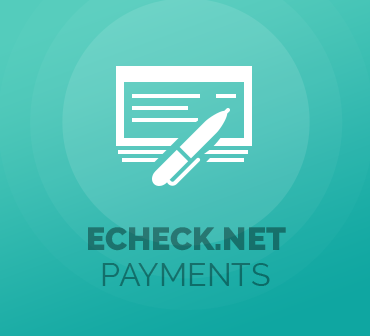 Choose eCheck.Net Payments For PrestaShop and bring comfort of great magnitude to your daily transactions! 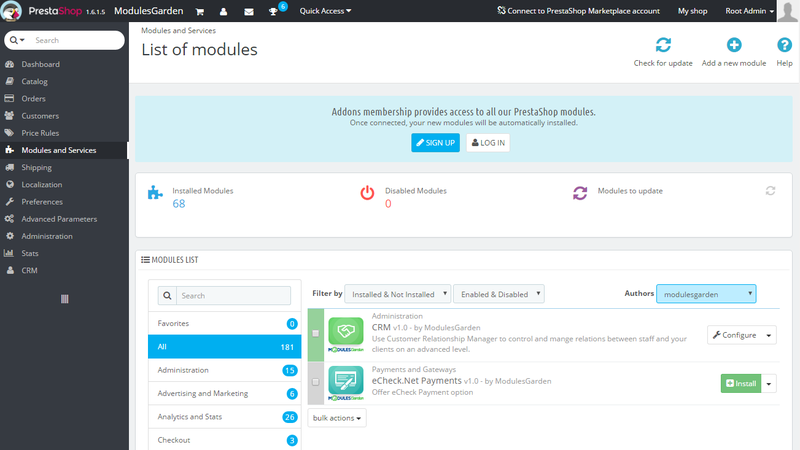 Deploy an automated technique of handling relationships with your clients in PrestaShop, organize marketing activities into campaigns and follow-ups, create notes and more.